The pristine waters of Antarctica offer divers not only ice and interesting marine life, but also the possibility of interaction with wildlife. While diving in Antarctica isn’t for everyone, true diving enthusiasts with the prerequisite skills and experience will relish the opportunity. Diving in Antarctica is not for beginners, it’s both technical and challenging, and is only offered on limited departures and has strict criteria for those looking to sign-up. While you don’t need to be a qualified Ice diver, you will need to prove you have extensive diving experience in cold water of +4° Celsius or below, and are well versed in using a dry suit. If you’re not qualified to dive but still love the idea of swimming with penguins and icebergs, why not consider Polar Snorkelling, which is fun and a lot less technical? Fantastic advice from Alex. Using a polar specialist with an understanding of diving was a good decision and much better than the recommendations from Australian dive travel agents. Very impressed by the dive team's professionalism. Diving an iceberg, with penguins and seals, and being one of the few in the world to dive within the Antarctic Circle were all big highlights. How does Diving in Antarctica work? Before departure you will need to show an internationally accepted diving certificate, diver's logbook and a statement from your doctor (not older than two years) stating that you are physically healthy to practice scuba diving. This may seem a little excessive, but so far from a proper hospital and medical care, safety is of the utmost priority. 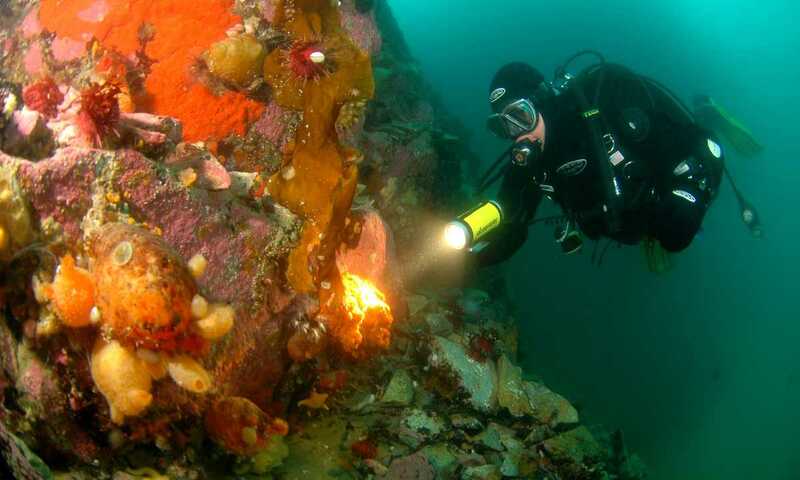 The dive sites will vary from shallow ice diving, diving along a wall, from a beach or from the zodiac. The maximum depth is around 60 feet/ 20 meters. The dives will be done on a 'buddy system' basis. There will not be a dive guide in the water to accompany and lead the divers. The guides will stay on the surface for the divers' safety and they will check you "out" and "in" after each dive. The divers are expected to be experienced enough to read their compass, depth gauges and look after each other in order to have a safe dive. Each diver will be expected to prepare his/her own equipment well in advance prior to each dive. The diver will have to carry his own equipment in and out of the zodiac and sometimes up and down the gangway. The aim will be 1-2 different dives per day, but this will be influenced by local ice and weather conditions. You’ve also got the choice to join the rest of the group on a landing instead of diving, if you prefer. To operate, a minimum of 6-8 divers are typically needed to have signed up. The maximum number of divers varies between different ships from 15 - 24. You'll also be expected to bring your own spare parts for your regulators and dry suit in case of leakage or damage. How does Snorkelling in Antarctica work? Polar snorkelling is designed for everybody and is seriously out of the ordinary! Its perfect for anyone who wants to experience the waters of Antarctica, but without the technical challenges involved with diving. 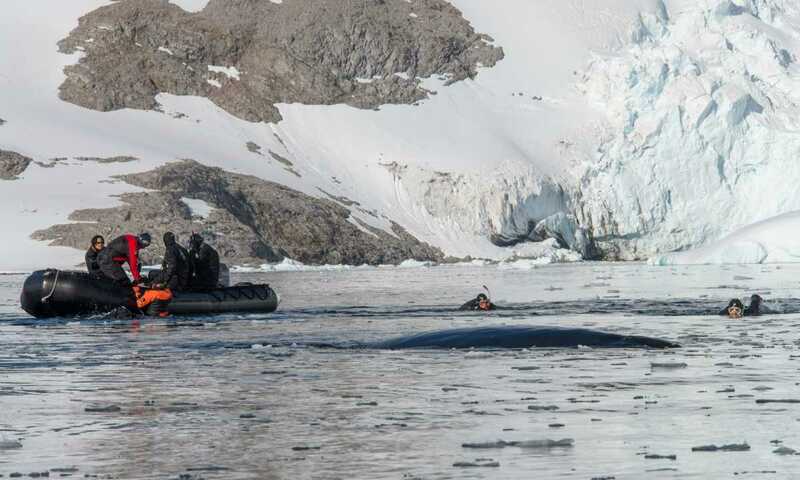 Plus, you can participate in the excursions with everyone else as well, so you get the best of both world’s - experiencing Antarctica both above and below the waterline. Some prior snorkelling experience is recommended, as it’s a chilly place to cut your teeth, but other than that there are no prerequisites. Typically people spend 45 mins to an hour in the water per session. 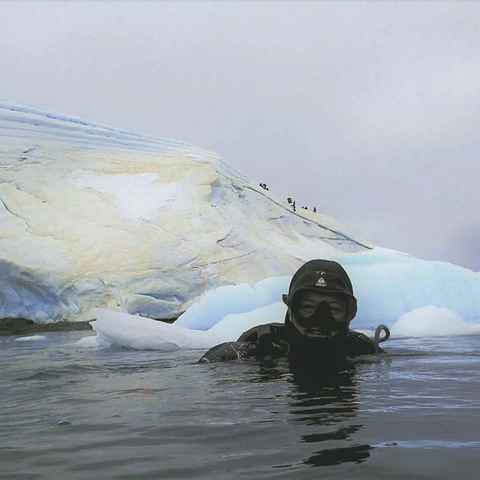 A drysuit, hood, mittens and booties are all provided, while it’s recommended that you bring your own snorkel, mask, fins and warm under layers to go under the drysuit. Note that only one ship currently offers snorkelling on select departures, so your choice of voyages will be very limited. Divers be prepared to dive in very cold water...follow the advice: Suggest dry gloves or mitts (not 5-fingered gloves). Practice diving in full Antarctic dive kit before going - allowing for weight, being able to undo clips with thick gloves - and be fit. What does Diving & Snorkelling cost? Diving and snorkelling in Antarctica both carry an additional cost as it involves experienced dive guides and specialist equipment. For diving, prices vary, but expect to pay between USD$500 - $1000 per person, depending on your choice of ship and duration of the voyage. Snorkelling is priced at around $600 per person. How strict are the rules about having the appropriate cold water dive experience? Very, unless you can demonstrate that you have the minimum number of cold water and dry suit dives under your belt, you won’t be admitted. Will I see wildlife when diving? Every time you enter the water there’s a chance to see wildlife, but as ever with wildlife it’s not a given. Sightings of penguins, seals and even whales are far from uncommon. Will I get to do some of the landings with the non-divers? Yes, if you would like to. Typically you can dive up to twice a day, but often many divers choose to dive only once. This allows them to explore and enjoy Antarctica above the water as well, giving a more balanced overall experience.